29% of earth is land. 100% of that is an opportunity waiting to be discovered. Magus focuses on the bottom-up fundamental research that analyses sources of sustainable competitive advantage by brand, innovation, returns and service. Every project that we undertake is backed by strong facts and data that present realistic on-ground solutions. Over the years, we have built powerful mechanism and models that have helped us understand the black spots in the Indian market. Our extensive and thematic frameworks have made us overcome these spots and made us the preferred partner of clients. We energize growth and propel business from planning to execution. Daunting challenges at par for the course. The quest to innovate at every level, build a distinct process, scale new heights and simultaneously design, develop, focus, engage and enthuse teams are our key dierentiation.  At Magus, a keen sense of business and deep sectoral knowledge are tools used to address the concerns of clients. At every level, our experts step in to steer the teams and achieve clients goals. We give our clients access to daily Magus insights that is a compilation of our bespoke research. Our in-depth analysis of sectors and its scope for improvement is backed by government’s planning, forecast and regulations. Our micro and macro study is detailed with feasibility analysis and financial assessment that makes decision making simpler for clients. We provide clients complete solutions even if they want us to partner with them for a specific process.